Game description: In God of War, the dark world of Greek mythology comes to life right before your eyes. As you take the role of Kratos, a story unfolds with various plot twists and multiple endings that take you through traps, stunts, and puzzles. With a deep combat system built around double chain blade weapons, the game places you in a variety of environments, in which you must fight challenging enemies, swing on ropes, scale mountain cliffs, swim through rivers, and slide down zip lines. God of War is a single player game that features a third-person perspective view with a fixed camera. 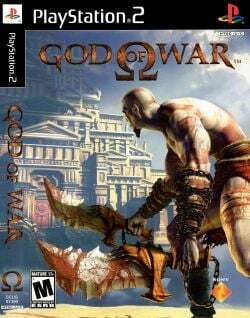 The player controls the character Kratos, a Spartan warrior in the service of the Olympian Gods in a mixture of combat, both normal and quick time, with platforming and puzzle game elements. The player guides the protagonist through a long series of tests, trials and mazes to achieve goals. The game is loosely based on Greek mythology, and is set in Ancient Greece. Try to enable Native ( weak GPU ) Emulation Settings : try to enable those speedhacks : VU Cycle Stealing( which causes huge speed up, and cause fake FPS (slider2/3)) recomended Speedhacks specially MTVU ( if you're on triple core or higher may cause a decent increase on dual cores ) don't use EE Cycling minimum speed will cause increase stuttering FMVs. The game is fully playable, and all the Bonus features you unlock after completing the game work. The entire game was played at 2x Native Resolution, with Shade Boost, FXAA and FX Shader options all enabled, at a solid 60 FPS (with very rare drops) in Direct3D11 Hardware mode. NOTE : Shadows on Kratos and enemies cannot be seen. The Hades section is missing some effects resulting in a washed out look. US v02.00(14/06/2004), Defaults + MTVU (Multi-Threaded microVU1). Run at max speed (60 FPS) with a few rare slowdowns (45-50 FPS) using also 1920x1080 resolution. In Hardware mode shadows from main character and creatures are not displayed. The same also happen with the fog effect. In Software mode both works fine. BIOS: USA 2.2.0, Fully playable with solid performance 50-60 FPS. "OpenGL (Hardware)" for shadows and fog working, Blending Unit Accuracy on High along with CRC this emulates shadows and volumetric fog (video card compatible with OpenGl 4.5 req. ), TC Offset X:337, TC Offset Y:337 (removes vertical lines and bad effects). Edit: If you manage to run it at "4x native" resolution, change the TC offset to "370" in X and Y. Completed the entire game in HD with the shadows and fog correctly emulated. BIOS: USA 1.60, Playable with full 60FPS. I have noticed a total freeze occur during the third phase of Ares Boss fight and the growls would just loop on and on. This could possibly be due to mtVU since it is warned it may cause hanging, though not fully certain. This issue has also in fact been experienced by some others on real PS2s, so it is possibly just a bad bug. I suggest using save states in case this ever happens. I suggest enabling mtVU because without it, the game is unable to maintain 60fps in heavy battles. Do use OpenGL (Hardware) or software rendering of any backend to render shadows. OpenGL (Hardware) is much more demanding on the GPU than other hardware backends. Disabling Framebuffer helps however. A GTX 750 Ti is able to run it at 720p maximum. Widescreen crops the top and bottom of the 4:3 image, meaning less visible viewing area than when played in 4:3. Description: In Hardware mode Kratos's shadow is missing. Workaround: Go to Config > Video(GS) > Plugin Settings, make sure the Renderer is set to "OpenGL (Hardware), then click "Enable HW Hacks", go to Configure Hacks and use Round Sprite or use TC Offset to correct the effects. Or switch to Software mode by setting Renderer to one of the "(Software)" options. Description: In underwater sections horizontal lines appear over the screen. Workaround: Go to Config > Video(GS) > Plugin Settings, click "Enable HW Hacks", go to Configure Hacks and enable the Align Sprite hack. This reduces the number of the horizontal lines underwater. Or go to Config > Video(GS) > Plugin Settings, and set the Internal Resolution to "Native", or set the Renderer to Software mode by selecting one of the (Software) options. Description: When the "VU Cycle Stealing" speedhack is enabled, Kratos starts blinking. Workaround: Has been fixed since at least PCSX2 v1.0.0. For older versions go to Config > Emulation Settings > Speedhacks tab, and set the "VU Cycle Stealing" speedhack back to 0. This page was last edited on 8 September 2018, at 20:28.